Audible has set up a special page for Raylan fans where you can get the best versions of all four audiobooks mentioned in the podcast (Pronto, Riding the Rap, When the Women Come Out to Dance ("Fire in the Hole"), and Raylan). Two of these audiobooks -- Grover Gardner's reading of Pronto, and Frank Muller's version of Riding the Rap -- had previously been hard to locate so we urge you to check them out and support Audible for making them available. Oddly, for Elmore Leonard -- and it's perhaps a tribute to the popularity of the TV show -- Raylan is also available on cassette and appears to be the first of his audiobooks to be seriously pirated. Amazing but true ... there are three versions of Tonto Woman available at audible.com. Alfred Molina's version of The Tonto Woman is finally available and so are two other pretty cool versions including Wlliam Atheron's storytelling as part of The Complete Western Stories and Taye Digg's swell version as part of When the Women Come Out to Dance. Both are also available used at Amazon and eBay. And don't forget about Henry Strozier's resonant reading of The Tonto Woman, still available from Recorded Books. As for the short film of The Tonto Woman, good luck finding a version anywhere. You can see some clips from the film at YouTube, including the trailer, the "Do you know who I am?" sequence and the dinner sequence. Also, Lou Diamond Phillips read the story live in 2004, but no versions of that are circulating. Finally, the character of Ruben Vega also appears in the audiobook Gunsights though he meets an unfortunate demise. The audiobook of Up in Honey's Room is available as a seven-disk (eight hour) unabridged version narrated by Arliss Howard, and published by Harper Audio. It was publised in May 2007 and is widely available at bookstores, online and off, and as a download at Audible.com. The Hot Kid, also mentioned in the podcast. was released in 2005 and also was narrated by Arliss Howard. It's available from Harper Audio and can be downloaded from Audible.com as well. When the Women Come Out to Dance, which contains the short story, "TenKiller," is the subject of a separate podcast (Episode 5). 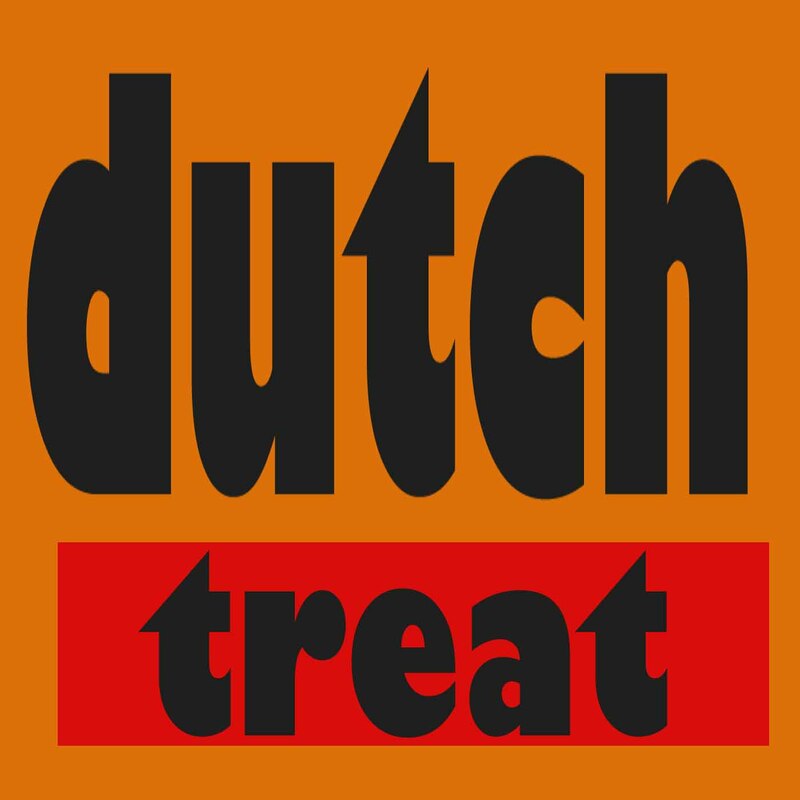 You can see a list of all of the Dutch Treat podcasts at the Dutch Treat home page. Comfort to the Enemy is not available in audio format but a PDF version can be downloaded at the Elmore Leonard website. Cuba Libre, in which Virgil Webster, Carl's Dad, first appeared is avilable in two audiobook versions, a 1998 abridgment narrated by Henry Leyva, from Bantam Doubleday Audio, and a 1998 unabridged version from Recorded Books narrated by George Guidall which is available from audible.com. There is one audiobook of Valdez is Coming, narrated by Keith Carradine and originally released as two cassettes (two hours and twenty minutes) in 2003. It's still available from Harper Audio for $9.99 (as well as a WMA download) and as a download from Audible.com. There are two Mr. Majestyk audiobooks: There is the Books on Tape version featured in our podcast and narrated by Alexander Adams (Grover Gardner) which was released in 1995 and is available only from used audiobook sources. There is also the Recorded Books version narrated by Frank Muller and released in 1995 is available for sale or rental in CD and cassette formats from Recorded Books. The 1974 film version of Mr. Majestyk, written by Elmore Leonard and starring Charles Bronson is available on VHS and DVD format and is also available for rent from Netflix. There is only one audio version of Mr. Paradise, a six-disk unabridged version narrated by Robert Forster, published by Harper Audio. As mentioned in the podcast, this gem is available at Amazon and is also available as a download from audible.com. The Lawrence Block audio book, Hit Man, also narrated by Robert Forster is available from Amazon in cassette format or as a download from audible.com. There are three Killshot audiobooks. The abridged two cassette Dove Audio version narrated by Bruce Boxleitner is witnessing a second life and is now available from Phoenix Audio on CD at Amazon and as a download from audible.com or at iTunes. The unabridged version read by RonMcLarty is available on CD and cassette from Recorded Books. The Phoenix Audio version read by Rider Strong is available on CD and cassette from Amazon and other retailers. The film version of Killshot was released in 2008. There are two Riding the Rap audiobooks. The abridged Bantam Doubleday Dell (BDD) version narrated by Joe Mantegna is no longer available as a download. It was originally released on two cassettes and that version is now out of print. Used and new copies are available at Amazon and other used audiobook sources. Good news on the Recorded Books version read by Frank Muller. It is now available as a download from audible.com. There are two audiobooks of the Big Bounce. The unabridged Harper Audio version narrated by Campbell Scott released in 2003 is available for sale from Amazon and as a download from audible.com. The unabridged Recorded Books version narrated by Mark Hammer was released in 2003 and is available in cassette format from Recorded Books. The 1969 film starring Ryan O'Neal is available on DVD from Amazon and other video retailers and is also available for rent from Netflix. The 2003 film, The Big Bounce, starring Owen Wilson is available on DVD from Amazon and other video retailers and is also available for rent from Netflix. . There are two audiobooks of When the Women Come Out to Dance. The Harper Audio version narrated by Taye Diggs and released in November 2002 is available for sale in CD and cassette formats from Amazon and as a download from audible.com. The Recorded Books version narrated by Henry Strozier, Richard Poe, T. Stechschulte, and Barbara Rosenblatt was released in 2003 and is available in CD and cassette format from Recorded Books and from Amazon. We mentioned the 1999 film, The Last Seduction, starring Linda Fiorentino and Bill Pullman. It is available on VHS and DVD format from Amazon and other video retailers and is also available for rent from Netflix. Since we've recorded this podcast a 23-minute film of Sparks was directed by Joseph Gordon-Levitt and was included on Wholpin #9, a subscription DVD from McSweeneys. Of course, Fire In the Hole, featuring Raylan Givens, became the pilot for the TV series, Justified. UPDATE 2012: More good news. Audible now offers the Frank Muller Cat Chaser (the Borders/Recorded Books version narrated by Frank Muller and released on five cassettes in 1995 from Recorded Books). Used copies of the same version issued by Borders & Recorded Books are available from Amazon and other used audiobook sources. The Listen for Pleasure/DHP version narrated by Ken Howard and released on two cassettes in 1989 is no longer in print and is available used from Amazon and other used audiobook sources. (We're glad that one's not available for download, it's the worst abridgement, ever.) The Canadian DHP version narrated by Max Winston and released on two cassettes in 1995 is no longer in print and is available used from Amazon and other used audio book sources. The 1989 film version of Cat Chaser starring Peter Weller, Kelly McGillis, and Charles Durning is available on VHS and DVD format Amazon and other video retailers and is also available for rent from Netflix. Note. Charles Durning, who is highlighted in the podcast, has appeared in three Elmore Leonard films, Cat Chaser, Stick, and The Rosary Murders (an original screenplay). Currently, there is no downloadable version of the Last Stand at Saber River audiobook. The Random House Audio version narrated by Tom Skerritt was released on cassette in 1988 and is out of print. Used and new copies are available at Amazon, and other used audiobook sources. The 1997 film version of Last Stand at Saber River starring Tom Selleck is available on DVD from Amazon and other video retailers and is also available for rent from Netflix. There are two Pronto audiobooks. The abridged Bantam Doubleday Dell (BDD) version narrated by Joe Mantegna doesn't seem to be available as a download anymore. It was originally released on two cassettes and that version (right) is now out of print. Used and new copies are available at Amazon and other used audiobook sources. The good nbews is that the Books on Tape version read by Alexander Adams (a pseudonym for narrator Grover Gardner)is now available as an audible.com download. The Showtime produced film version of Pronto starring Peter Falk is also out of print. It was never released on DVD although VHS copies are available at Amazon and other used video sources. Sad but true. there is currently no downloadable version of Maximum Bob despite the fact that three have been produced. The Random House Audio version narrated by Brian Dennehy was released on cassette and is out of print. Used and new copies are available at Amazon, and other used audiobook sources. Copies of the Books on Tape version read by Alexander Adams (a pseudonym for narrator Grover Gardner), occasionally pop up on eBay. The Chivers audiobook version (UK) narrated by Peter Whitman is available used in the UK. The Maximum Bob TV show which premiered in 1998 is not available.